If someone had told me a couple of years ago that, in 2015, I would get up early on a Monday morning to head to a restaurant that’s known to have long queue in time to have breakfast, I would laugh in disbelief. Once my friend and I were seated in the restaurant, we had already known what we wanted to eat, as our decision was made while we were in the queue. So ordering was a breezy for us. Patiently waiting for our food to arrive, my friend and I reminisced on our previous visit to the Breakfast Club, hoping that our breakfast was as amazing too. One bite from my food, I immediately felt like I was experiencing what people would call a “foodgasm” – it was total bliss. An experience I didn’t want to end. 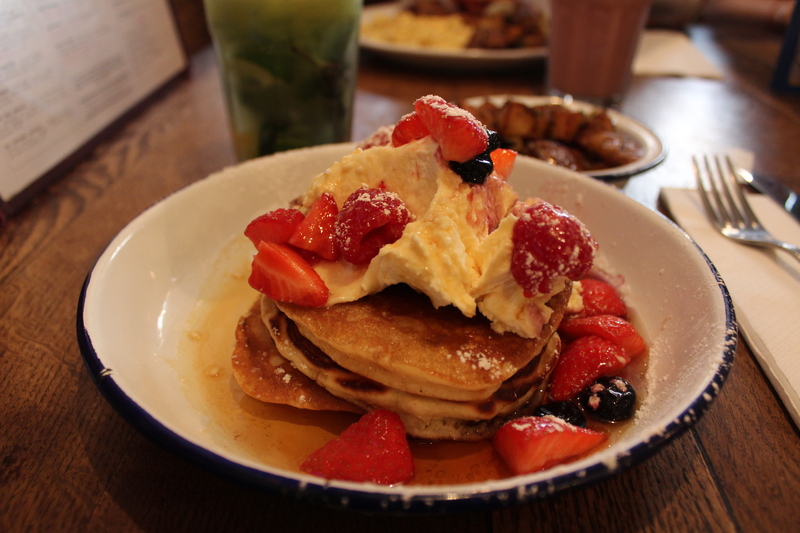 Recommendation: i would recommend the full monty and the big breakfast smoothie while my friend highly recommend the virgin pancakes and berries. This looks so Delicious you just made me hungry. I have been meaning to check this place out for a while, but the queue always puts me off. I went to the Cereal Killer Cafe at 9.30pm, just so I could avoid waiting around for hours. I may have to do the same for The Breakfast Club!